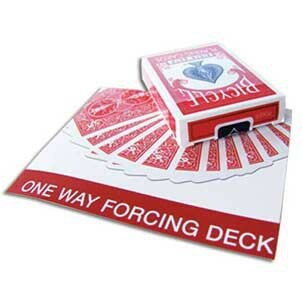 The One Way Forcing Deck, in Bicycle, comes in full color packaging. The deck consists of 56 force cards inside the box, and a 57th card outside the box for easy merchandising. Easy to learn illustrated instructions included! Decks randomly selected.